We are recognized as the renowned manufacturer, trader and supplier of the superior quality Breaker Panels. For the fabrication of this product, we make use the finest quality raw material and sophisticated technology. Production Capacity: PER MONTH 2 NOS. We offer highly functional Bus Duct Indoor Panels used in several electrical applications. We acquire the best components from the market and devise them using advance technologies. 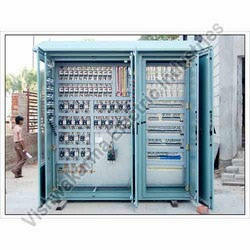 Electrical Assembly Panels are made of high-quality of raw material. This is mostly used for electrical industries. 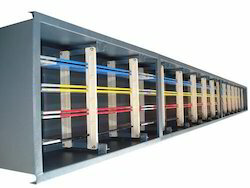 This is used for panel testing, wiring of connectors and blocking. This is very easy to install. This is very easy to use and producing high output of electricity. It is also used for consumes energy. It is very easy to maintain. It is very sturdy and corrosion resistant. It can be operate with a single phase. It also has electric starter panels.